So you’re getting big on the internet, right? You’ve listened and learned from all the social media gurus out there telling you what you should do or not do and you’re slowly getting there. Maybe you even have a book deal on its way. Your personal brand is growing at the same pace as your ego and you know it has a value. It must have a value, right? That’s what you’ve heard your gurus say over and over again. But what’s the real value of a personal brand? Do we know anything about it? Do we have business cases, examples or anything that can be put in numbers? I mean, I hear people talk about “your band equity”, “creating value for your brand”, “successful personal brands” and so on, but where are the numbers? In the real world, brands have a value. Value that can be measured. The value of a brand is defined in part by the value of the physical assets owned by the brand and/or the business itself: buildings, machines, stocks, etc. Another part of that value is based on what type of revenues and profits this brand is making: the more it makes money, the more it adds to the value. Then you have the potential growth of the brand that can be added to the value, depending on the markets that can be opened or optimized, and the products that can be added to an existing line of products from that brand. Again, it’s fully measurable. Even if you have to make predictions based on existing markets/experiences, you can still end up with a pretty good evaluation. Then comes the speculative part: the appreciation/perception of a brand. With a similar product with a similar value, two brands can be perceived very differently by consumers. Think of Harley-Davidson and Indian motorcycles: they have similar types of motorcycles but the afficionados of Harley-Davidson are way more dedicated to the brand than Indian owners are. Ok, the two companies are different in size but it doesn’t affect the emotional connection consumers have with the two brands. Again, this part of the value of a brand is speculative and can affect dramatically the total value of a brand, but it still relies on a tangible product and a real life experience consumers may have. With personal branding, there are no physical assets to support the value of your brand, unless you operate a “real life” business bearing your own name. In this case, your name is fully part of the trust that clients associate with your business and it’s fully part of the global value of the company. 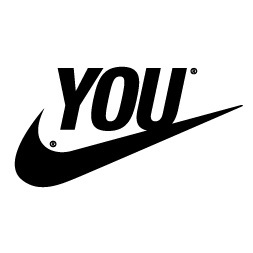 If your personal brand is just “you on the web”, it doesn’t have any tangible value for anybody but you. Let me explain. While building your personal brand, you build your credibility. You also create a massive amount of content in the form of tweets, blogposts, pictures, podcasts or video. And you build yourself a network, a database of potential “clients” and all sorts of other things, things that are non-transferable to someone else or to a company. Why? Simply because you did it! People who follow you and give credibility to what you do see value in that because YOU did it. No one else can take your blog, buy it and continue under that name, not only because of the ethical issues but because it would just not work. Yes, a personal brand has a certain value. But that value is made of potential money YOU may make out of the web, of deals YOU may sign because of your credibility or proposals for a job YOU may get. So it’s all personal, intangible and non-transferable assets. Personal branding is not meant for everybody, and using this strategy (or not) depends on what you want to achieve or get in the end. If you want to build your credibility and make your own personal value go up (may that be for getting paid to produce content on the web or finding a better job), than go for a “yourname.com” type of site. But if you want to build something strong, that will not only establish your credibility but also end up having a real value or be bought, look for a “yourcompany.com” website. Before listening to big gurus telling you what to do and diving directly into personal branding, you should analyse a bit what you want to achieve. Remember that a personal brand has absolutely no value. Except for you.